Folks in Dubai, who are bored with their regular fitness regime that includes pounding on treadmill or light workout in the gym, should try out Muay Thai to take their fitness to next level. This intense workout is basically a national sport of Thailand and it is commonly known as Thai Boxing. It involves both mental and physical strength and is considered as one of the toughest kind of martial arts. In Thailand Muay Thai means ‘the art of eight limbs’, as players use legs, knees, fist and elbows quite excessively in this game to knock out their opponents. There are several people in Dubai, who are not just fond of this sport, but they also love to learn it. This demand gave birth to Muay Thai Boxing Club in the city, where group and individual classes take place under the management of professional instructors. Muay Thai Boxing Club provides an opportunity to both locals and foreigners in Dubai to raise their bar of fitness by getting themselves enrolled in this vigorous exercise program. This club offers training classes for Muay Thai or Thai Boxing in Dubai. Enthusiasts of this sport can take group classes or one-on-one lessons from this club, which held under the supervision of well-trained instructors. Both children and adults are welcome. Charges for 10 classes in case of non-Hayya! members is Dhs 600, whereas for members it is Dhs 500. For less than 10 classes non-Hayya! members have to pay Dhs 90 and members have to give Dhs 80. 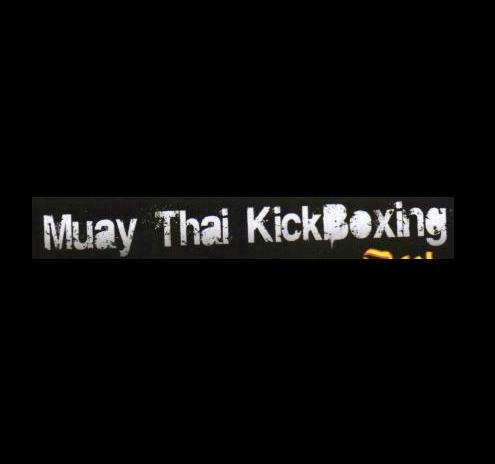 On Sundays, classes at Muay Thai take place till 6:00 pm, whereas on Tuesdays action continues till 7:00 pm and up to 6:30pm on Thursdays. Town Centre, The Springs, near Dubai British School, Dubai, United Arab Emirates. Muay Thai cannot be reached through metro. As, the nearest metro station is located more than 2.5 kilometres away from this boxing club, so best way to get to this site is by bus or car. 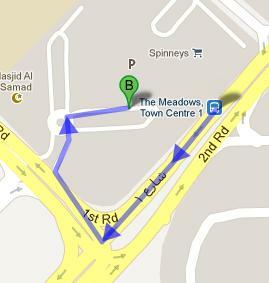 The Meadows, Town Centre 1 bus stop is just 400 meters away from Muay Thai in Dubai. Bus number F31 serve this bus station, so through it people can easily land at this stop. The gap between these two sites can be covered on foot in approximately 5 minutes, if the bus users head southwest on 2nd Road, then make a slight left turn towards 1st Road and later turn right onto 1st Road. After that bus user should make a right turn and soon the destination will be on their right side. See map for directions.